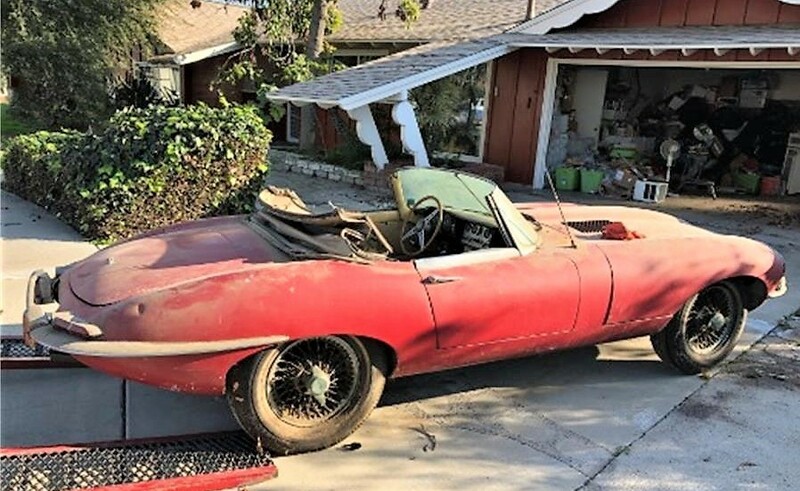 Sometimes it seems that there is an endless supply of derelict Jaguar E-types languishing in barns, sheds and garages, just waiting to be rediscovered and hauled out into the sunshine once again. 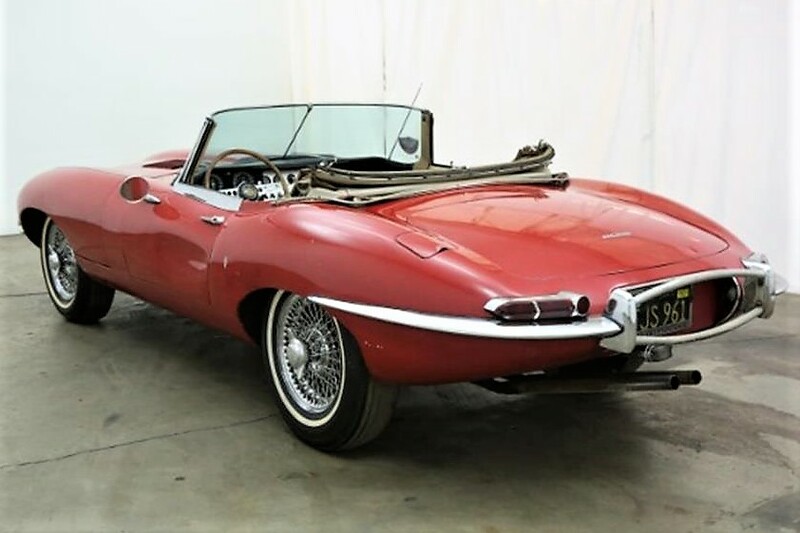 The Pick of the Day is yet another E-type “barn find,” this one a rare and desirable 1961 Jaguar XK-E, an early roadster with the original-design flat floor and welded hood louvers. Jaguar collectors quest for these first-run models, which makes this crusty relic well-worthy of attention despite its obvious needs. The car was rather picturesque as found, which is much of the appeal of so-called barn finds, leaving the next owner with the question of whether to preserve or restore. 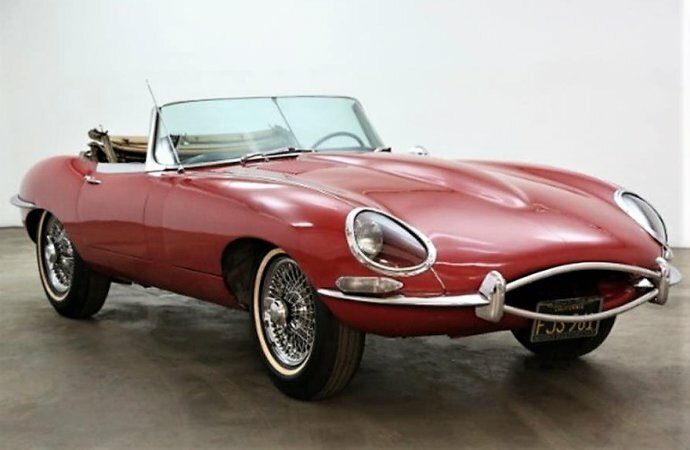 The Jaguar was recently discovered in a Southern California garage, according to the seller, and is a matching-numbers car powered by a 3.8-liter inline-6 with triple SU carburetors, 4-speed manual transmission, wire-spoke wheels and aluminum dashboard with toggle switches and original radio. The sleek body looks straight in the photos, although with a few surface dents, and the paint has been polished and seems fairly presentable as is. 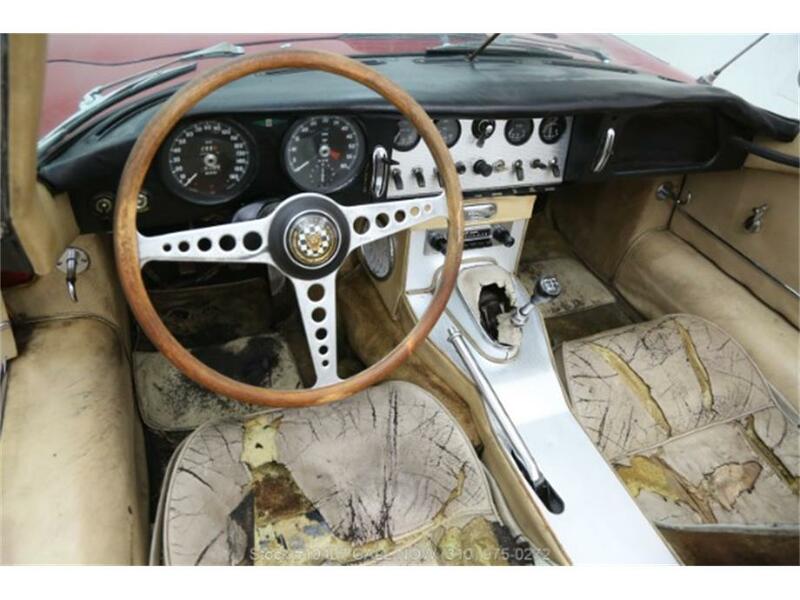 The dashboard appears to be decent, although the seats and other interior trim look thoroughly trashed. The fabric roof is likewise done. There is no information in the ad as to whether the Jaguar has been started or driven, or of any mechanical needs. A photo of the odometer shows fewer than 50,000 miles, though no word whether that is accurate. A potential buyer would be advised to check out the car in person to determine whether it’s a viable restoration project. The values of Jaguar E-types have had a strong run up, although falling back slightly this year, according to the Hagerty price guide. Currently, this year and model has an average-condition value of $181,000, Hagerty researchers have determined, rising to $286,000 for one in excellent shape and topping off at $385,000 for such a roadster in perfect, concours condition. The asking price for this ’61 E-type is $119,500, which could leave room for bringing it back to what it once was. But if nothing else, it would deliver this most-collectible Jaguar XK-E roadster into your own garage.